Amazon Echo (2nd Generation) Review and First Thoughts! It took me a long time to jump on the Amazon Echo bandwagon. I mean it was a long time for me since I am really into trying new technology as soon as I can. The Echo has been leading the way for smart speakers and the 2nd generation has improved on everything from the original. 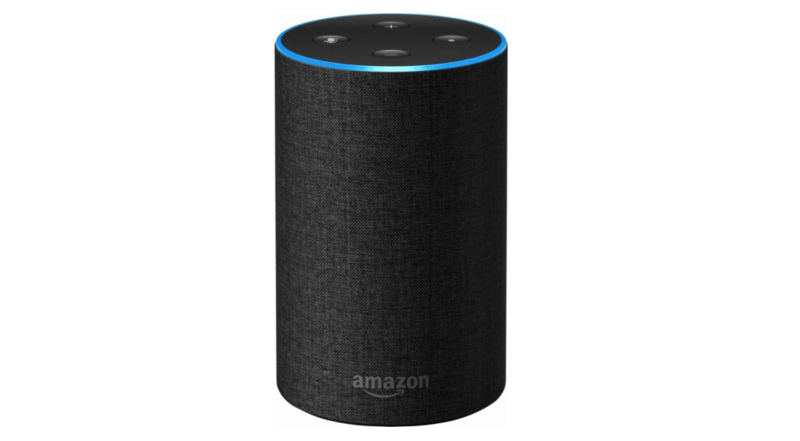 I’ve been waiting to buy an Amazon Echo or similar device because we are in the process of building a new home and I was going to wait till we moved in. But, I did get one for my parents for Christmas and guess what, they didn’t want it! So, now I have a new echo even though I am in temporary housing for another few weeks. I have had is since Christmas and I love it! Listening to the radio or news. I have been listening to news channels in the morning while getting my kids off to school. In the past the TV would go on, but now I can listen via my Echo and it’s a nice change. Spotify! I love Spotify and it works with the Echo. You can choose via the Alexa app which music service is your preferred service. The music service is set to Amazon music by default but changing it was super easy. Then I can say “Alexa, play this song by this artist” and she will find it. So easy! Asking questions about the weather, traffic, and any other news you would like to know. News updates gather information from various media outlets. You can makes lists, set timers, add items to your calendar and more. You can make phone calls with your Echo as well. These are all items I have done. There is much more I plan to utilize once we are moved in to our new home such as setting it up to work my Hive smart thermostat, and smart lightbulbs. Using the Echo to control smart devices will take it to the next level for me. I have also heard you can call a Uber or order a pizza with Alexa but I have not tried this. Another useful feature is ordering items from Amazon directly via voice. My children also love the Echo. We are staying with friends while our house is built and we have five children under five in this house. Yep, it’s crazy, how to survive this living situation is probably a good idea for a different blog post. The kids (all of them) have figured out how to work Alexa and enjoy using the Echo for playing music. It’s pretty funny listening to a bunch of toddlers yell at Alexa to play their favorite song. As far as the speaker, I have seen various opinions on it but to me it’s more than enough for what it does. I have paired it with my Peloton exercise cycle so I can enjoy my rides loud, in addition to all of the other ways I have used it. My main conclusion with the Amazon Echo is that it’s worth the cost. Compared to the new Apple Home Pod it’s a much better value (And, I LOVE Apple). I may change my mind in the future if Apple improves their product but for now I am sticking with the Echo. I have also come to the conclusion that I may like to have more than one so we can use it on both floors of our new home. The Amazon Echo now comes in five colors which you can switch out to match your decor. I got the charcoal fabric and I am happy with it. You can find the Echo here on Amazon!